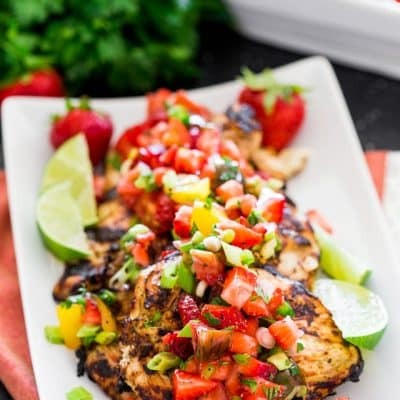 Cilantro Lime Grilled Chicken with Strawberry Salsa – a light and refreshing strawberry and jalapeno salsa with cilantro lime marinated grilled chicken, perfect for summer! With this beautiful weather that we’ve been having, all I can think of is summer BBQs and Mojitos. The weather really has been incredible and I’m loving every minute of it. After a nice long walk today with hubs, we were ready for a nice light dinner and some drinks. So Mojitos it was, and I made this yummy cilantro lime grilled chicken with my favorite, a strawberry salsa with tomatoes and jalapeno peppers. I love this chicken because it’s really quick and easy and because of that delicious salsa. I really don’t serve it with a side dish, the salsa acts like a side dish. Usually I make a little bit extra so that we can really enjoy it with this chicken. I like to pound my chicken breasts until they’re about 1/2 inch in thickness and I do that simply by placing the chicken breasts between plastic wrap and using a meat mallet I pound it a bit, gently because you don’t want the meat to tear. This way the chicken cooks a lot quicker and it takes a lot less time to marinate. For the marinade I used lots of cilantro, some lime juice and honey and I added a bit of club soda which helps tenderize the meat, but if you don’t have club soda don’t worry about it. You just need to marinate the chicken for 20 minutes, basically while the grill heats up and while you make the strawberry salsa. Now if you’ve never had strawberry salsa, you must make this. It’s so good and you can use it on all sorts of things. 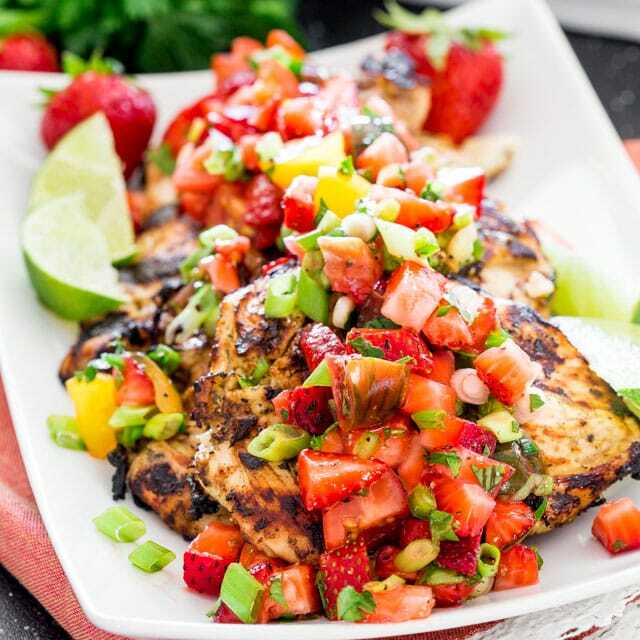 As a matter of fact you can turn this whole dish into tacos if you want, just slice up the chicken and serve it with this stunning strawberry salsa on some whole wheat or corn tortillas. This salsa is quite simple to make. I used heirloom tomatoes here but regular tomatoes work just as well. So all you need is about a cup of chopped tomatoes, a cup of chopped strawberries, jalapeno pepper, some chopped green onions and lime juice of course. Season it with a bit of salt and pepper, then toss it all together and magic happens. After you’ve grilled your chicken, just spoon some of this salsa over the chicken and enjoy it, that’s all you have to do. It’s flavorful, it’s summery, and if you’ve got a party coming up for Cinco de Mayo, it’s perfect for your party. Oh and trust me, if you serve this with my yummy Mojitos, you’ll thank me! 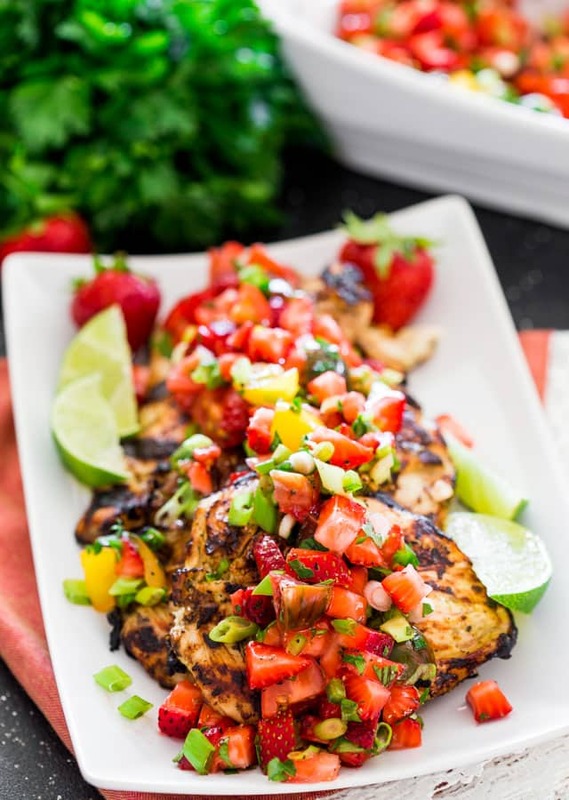 Cilantro Lime Grilled Chicken with Strawberry Salsa - a light and refreshing strawberry and jalapeno salsa with cilantro lime marinated grilled chicken, perfect for summer! In a blender add the cilantro lime chicken ingredients; olive oil, honey, cilantro, lime zest, lime juice, salt and pepper. Also add club soda if using it. Blend for about 30 seconds until smooth. Place each chicken breast between plastic wrap and gently pound using a meat mallet until chicken is about 1/2 inch in thickness. Place chicken in a large bowl and pour cilantro lime marinade over chicken. Marinate for about 20 minutes, while grill heats up and you make the strawberry salsa. 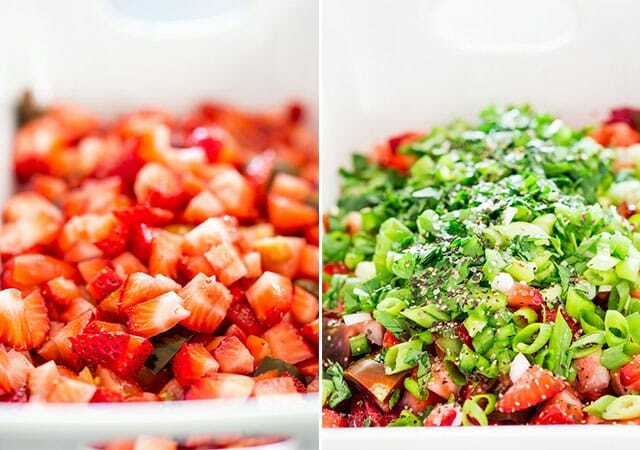 To make strawberry salsa, toss all the salsa ingredients together in a bowl and cover and refrigerate until chicken is ready to serve. Grill the chicken on both sides. about 3 to 4 minutes per side. To serve spoon salsa over grilled chicken. This recipe has become a family favorite! And when I make it on a whim without having fresh strawberries on hand, a blended salsa with frozen berries is nice too. I really like this recipe! As I am vegetarian, I do it with tofu instead of chicken, but I do the rest exactly the same way! It’s going to be good tonight with my garden strawberries. Grilled this during rain and thunderstorm- perfect meal for a hot, wet summer day. I used red chili flakes instead of jalapeño and also club soda – accompanied with new asparagus and corn on the cob. What a fantastic recipe- will definitely make again! This sounds so delicious but my family doesn’t like cilantro! Do you think I could substitute a few herbs instead? Maybe parsley/basil/oregano in the marinade? For sure! You can never go wrong with fresh herbs. Jo, this recipe screams “Summer”. The marinade kept the grilled chicken so juicy. The sweetness of the strawberries and tartness of the tomatoes and lime made for an interesting combination. I paired this with a garlic, lime cilantro rice dish and it was perfect. Thanks. Can I do the marinade before hand? I have a camping weekend coming up and I don’t want to take a blender….or just add the soda when I’m there and blend everything else, before we leave? I don’t see why not though remember, your chicken will marinade in the heat of the day unless you take some ice with you. Great recipe!! But for the salsa,I substituted jalapeno with red pepper flakes, and tomatoes with mango. Definitely gonna make this for summer. I substituted the tomatoes for mango as well. I did use the jalapeno though. Delicious. I don’t eat jalapenos. I like a little heat but not pieces of it. Is there such a thing as a mild jalapeno? Somehow leaving it out seems like it would affect the taste. Could I use mild green Chile’s from the can? I’ve heard that the jalapenos without many striations that they are milder in taste so maybe look for those when you buy them. I haven’t tried the green chilis from a can, I know they are milder in flavor, it might work for the salsa. You could give it a try, I have used them in many recipes, just not in a salsa. Sure, bell pepper would be fine, but you won’t get that heat, that’s the whole purpose of the jalapeno, so if you don’t want this spicy I would just skip the pepper completely. This is absolutely beautiful! Perfect for summer, can’t wait to make! 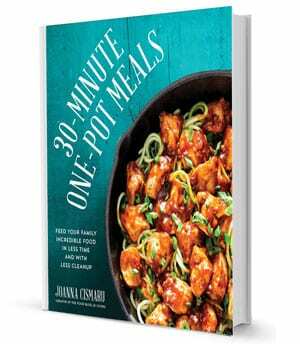 Can I make this recipe using a grill pan or cast iron skillet? Absolutely, you do not have to grill it. Oh my goodness, what a gorgeous meal! And your photos are good enough to eat! This is a great staple meal for summer. I just love summer because we can grill anything and everything! Great recipe, Jo! This chicken dish is gorgeous, Jo! 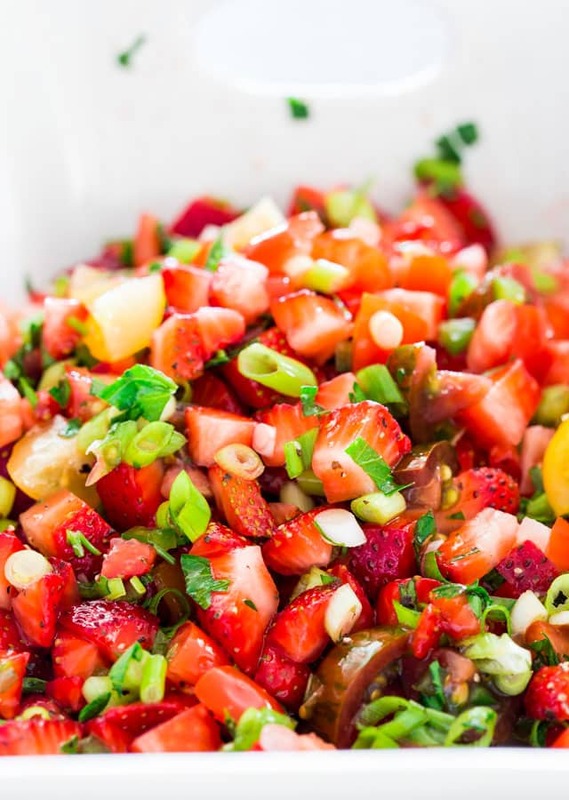 I love that fresh strawberry salsa and it would sound perfect with a Mojito! Yum! Yep it is grilling time. We are having THE perfect day for it too. I love lime and chicken together. In fact I can remember the first time I had lime with chicken. BUT it’s the salsa that has me zinging! Hope you try it Carol! I look at your photo that screams summer to me and then look out the window and it’s cold, wet and full of winter rain. I would LOVE this for dinner. Aw that’s too bad…but how bad can winter be in Australia? 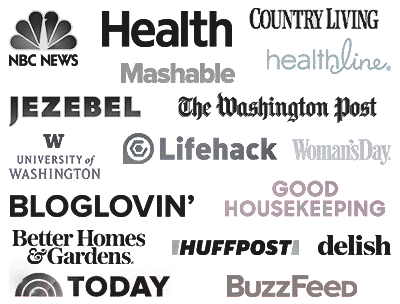 Where do I find your Mojito recipe? 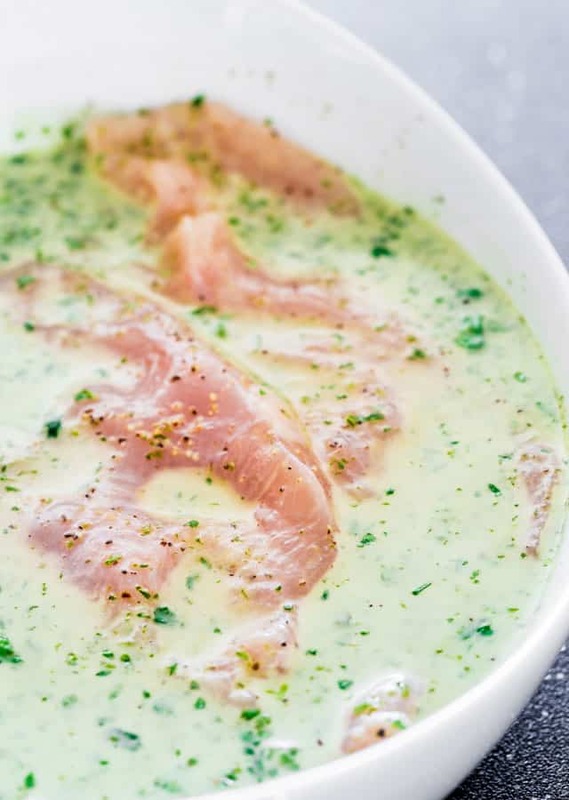 I love how summery this recipe is! This is on my list once strawberry season rolls around. Pinned!